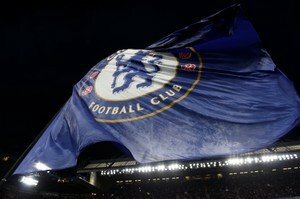 After the defeat inflicted at Stamford Bridge, by Leicester City, on Saturday, it is as blatant as blatant can be that Chelsea need to purchase a striker. There’s no denying that Alvaro Morata And Olivier Giroud have their good days, but the fact that neither are capable of delivering 20+ goals in a season is seriously affecting Chelsea’s ambitions of a top-four finish. With the January transfer window set to open shortly, we’re hoping that Chelsea address the situation, otherwise we could face a second season without Champions League football. Lurking in the pages of the Express, is an interesting article in which our former captain, Dennis Wise, suggests that Chelsea, in January, will be trying to bring one of two strikers to Stamford Bridge. The names in the frame are interesting ones – Jamie Vardy (Leicester City) and Robert Lewandowski (Bayern Munich). Now cases could be made for either and I’d imagine that you all have your views on which one you’d prefer. Please feel free to drop those views in the comment facility beneath this article. As for me, I’d opt for Jamie Vardy with his exceptional pace being the perfect compliment for the fast counter-attacking football that undoes so many teams. Chelsea don’t need Carry, Higuain or Lewandowski. Chelsea should make Mario Icardi their top striker target. With the likes of Alonso in the team and substituting Kovacic 20 minutes before the end of every match is Chelsea low performance. Chelsea should better go with belotti and icardi who has pace and be ready to spend big if they want to go to champions league next season. I sense more troubles if no striker with pace is purchased. Sarri should give Kante his original position.Jorighno should go I n midfield.Fabragas should be used for more than 30 minutes.Hazard should get his creative position.Immediate requiment is world class striker.As Conte said Chelsea should show ambition. I would prefer Jamie vardy or Mario icardi,we need a good striker to provide goals,not eden as false nine.Sarri we need a good striker not that old higuain or lewandoski,bring back in is normal position,jorginho should back to his attacking role.Come on play Hudson callum odoi rather than willian,our left back…Alonso is so weak,we need Emerson. let’s sarri sign striker who is creative and faster on counter attack like icardi , patiek , wilson and let alonso take rest and play emerson on left back if the want to finish in top four this year to qualify for champion league next year of 2019-2020. Let Chelsea and whoever that is concern continue doing underground work not be talking without action. Bring as a quality player. Chelsea should shine her eyes. We’re tired of talk talk without seeing results. Go for Wilson from Bournemouth. Eden Hazard should be very careful of leaving Chelsea doing so will end his career as a footballer. Somebody should help me tell My good Eden Hazard to be extra careful of leaving Chelsea to Real Madrid or any club sooner or in the near future for doing so will finish his career as a footballer. Real Madrid or any club will ruin him. Let him stay at Chelsea and retire there. Tell him what is Ba’lon dor? To hell with it.